Merry Christmas everyone. Happy Holidays. Yadda yadda yadda. It's the Christmas episode of TORT! And guess what? We don't talk about the holidays barely at all! Instead, we break down our thoughts on the Street Fighter V first look at Capcom Cup 2014. We also dive into our impressions on Ultra Street Fighter IV Omega Mode and the new Wild Costume packs. And yes, we talk about North Korea, Sony, all that crap. 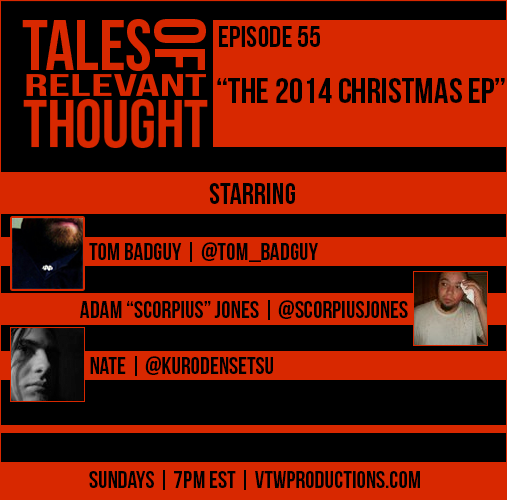 Hatred, Final Fantasy IV, a lot in store for this holidayless episode. Enjoy!